Do you ever stop and marvel at what we have accomplished with technology? Crazy concepts from old sci-fi films are now commonplace, and it's hard to imagine that people once lived without internet, let alone without electricity and phones. Just a few decades ago, if you wanted to find a healthy recipe, you needed to check out cookbooks from the library or ask your friends. Now we have hundreds of variations of any given recipe available on Pinterest. If you were interested in reading the latest on health, that would mean subscribing to journals or magazines, but now we have an infinite amount of information at our fingertips through our computers and even our phones. It's truly amazing what we have available to us, and what advancements we have made across all industries, including medicine. However, for all the benefits technology offers, it can have a negative impact on health when used improperly. When it comes to the body, you may look at it simply as matter; tissues like skin, muscles, and bones can be seen and felt after all. Einstein related matter to energy, and we know even a solid desk is actually made of vibrating atoms. In this way, every substance in the body also has some form of energy. Beyond that, though, our bodies also have an overtly electrical component - think of paramedics using a defibrillator to jump start the heart of someone who has collapsed - and some members of the holistic health community fear that our constant exposure to electronics and their low-level radiation disrupts our natural biolelectricity, leading to a host of health issues. Do you remember studying the relationship between an electric field and magnetic field in school? Electromagnetic fields (EMF) are generated around electric currents, such as those running through the wires in our walls, and some people say they feel physiologically different when exposed to WiFi or other concentrated sources of low-level radiation, experiencing headaches or fatigue for instance. The World Health Organization (WHO) has labeled EMF radiation as "possibly carcinogenic" and continues to research its effects on wellness, and while the National Institute of Health (NIH) has found no link between EMFs and cancer, documentaries like Generation Zapped are still bringing the possible health risks of prolonged exposure to the public's attention. The only by-product of cell phones and other electronics on which everyone agrees is warmth on the skin, which doesn't sound like a huge deal, but can be in certain circumstances. For instance, many men keep their cell phones in the front pockets of their pants, very close to their testes. Exposure to heat can affect sperm production and therefore reduce male fertility, but preventing damage is as easy as not keeping phones there. 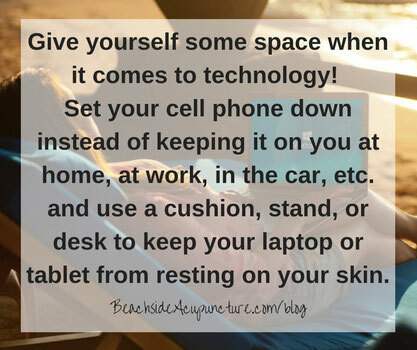 Similarly, if you're worried about other possible side effects from carrying a cell phone, simply leave your phone on your counter, desk, etc. instead of keeping it on you at all times. 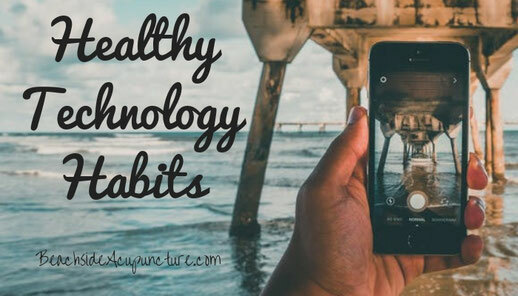 While the potential for radiation is controversial based on evidence so far, research has shown that our favorite gadgets can affect our health in other ways. The light emitted from cell phones and computer screens disrupts normal sleep cycles, as the brain mistakes it for daylight and reduces production of melatonin - the "sleep hormone" - accordingly. Also, extended screen time can affect vision because people tend to blink fewer times and crane their heads forward when staring at screens, leading to issues like dry eyes, blurry vision, and headaches, among others. The American Optometric Association has even given a name to this growing concern, grouping these symptoms under the term "Computer Vision Syndrome" or "Digital Eye Strain". Finally, psychologists have theorized that over-stimulation - through technology or other avenues - can affect the psyche. Children especially have been studied as there is no precedent in previous generations for how prolonged screen time affects their minds, but adults can suffer from this as well. Technology can be a helpful educational tool, but if it's used simply to fill in empty space, to do something when bored, it can hinder the development of imagination in people of any age. Our society can no longer stand to be bored, but it is out of boredom that our creativity truly shines. Keep electronics out of the bedroom, or at least keep them across the room where they won't be as distracting while you sleep. Stop looking at screens an hour or two before heading to bed to avoid disrupting your circadian rhythm. Go outside and practice earthing to absorb negative ions and counteract the positive ions emitted by electronics. Take regular breaks when using your computer by going for a short walk, standing up to quickly stretch - especially arching your back and expanding your chest to counteract any forward lean to your posture - or even just looking up at the ceiling for a few seconds. Blink more regularly or use eye drops if your eyes start to feel dry when staring at screens. Be mindful of your posture while at your computer. As for the psychological impact of technology, practice being comfortable without your phone or other devices. Leave them at home every once in a while, set up tech-free times for your family, and relearn how to enjoy moments without feeling the need to capture all of them. Don't feel guilty letting your kids - or yourself! - be bored, and think of more creative ways that you can spend time alone and with your loved ones. Actively challenge your imagination, grabbing a pen and paper instead of your phone the next time you have downtime and following whatever urge comes into your mind when you do so (writing, drawing, brainstorming a solution to a problem you're having, etc.). If you feel as if you're more sensitive to EMF radiation - again it's not yet substantiated scientifically but some people seem to notice physiological effects - you can cut down your exposure by unplugging electronics when not in use, removing cordless devices and opting for landlines instead, leaving cell phones in airplane mode except when needed, and even shutting down parts of your home's power supply if needed. Many companies have sprung up to offer protection against EMF's - Q-Link and Gia being two of the more well-known - and you may want to investigate the science behind their products to see if they're worth an investment in your case. Of course, no matter how you feel about technology, always use common sense and be safe. Leaving your phone at home can provide a wonderful sense of freedom...but is not a good idea if you're going somewhere new and can potentially get lost or find yourself in a dangerous situation. Shutting your phone off at night can lead to more restful sleep...but you should definitely keep it on if you have a sick family member who needs to be able to reach you. Recording everything in your life on camera can keep you from truly enjoying the present...but you'll want to capture some moments on camera to cherish them in the future. Find a happy balance for yourself, what works best for your situation in particular, and make use of the advancements of our modern age while still remembering to dial back and revel in the simple things as well.